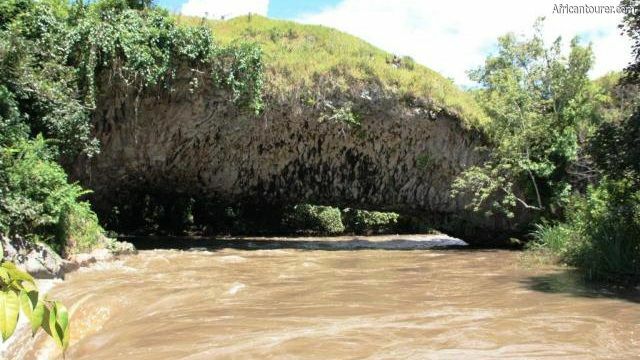 Daraja la mungu (swahili) or Gods bridge in english is a large natural bridge that connect the two banks of Kiwira river in Mbeya region Tanzania. It has a width slightly larger than that of a single lane bridge and a length of about 50 metres. Despite not being engineered or designed to do so, the bridge can withstand large loads such as herds of cattle crossing. 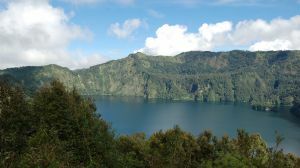 It is believed that the bridge was formed millions of years ago when water flowed through cooling lava that spewed from the nearby mt. 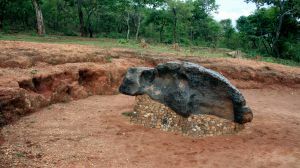 Rungwe, creating a path underneath what became a hard rock structure. Since then the bridge has withstood all tests of nature and time to a level that is better than any man made bridge, most of which have a reliable life span of a century or less. The name 'Daraja la mungu' was coined by the locals due to its Godly like design along with other traditional beliefs and stories. Since its recognition as a popular tourist site, there has been another bridge bridge constructed about a hundred metres north west of it, mainly to assist the old bridge on a job it has done since long before the dawn of civilization. 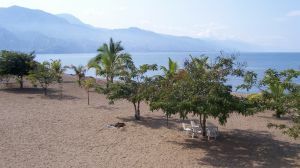 Daraja la mungu is located in Rungwe district of Mbeya region in Tanzania among the Banks of the ferocious Kiwira river that flows all the way into Lake Nyasa. Just nearby and about 300 metres upstream is a small town. There are no dirt roads when traversed when heading to the bridge, mainly due to the town nearby. 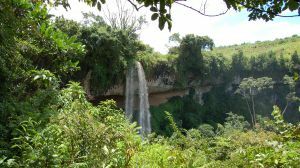 Are you associated with Daraja La Mungu (gods Bridge) ? Contact us to improve this page or create another page for your business.